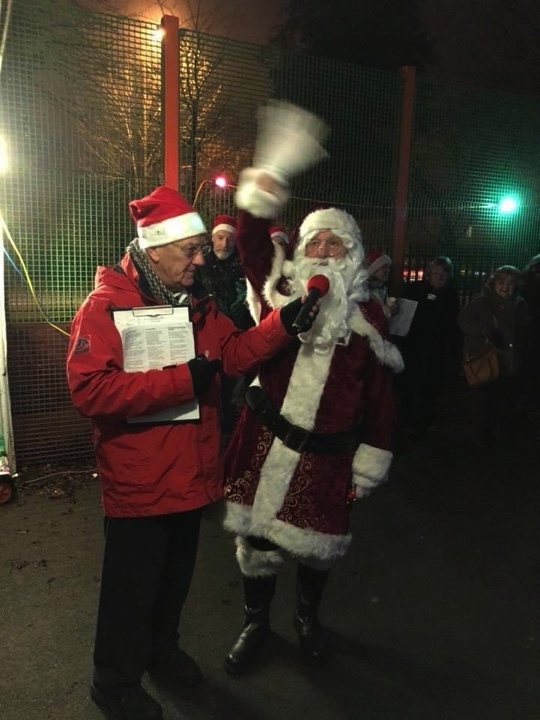 As a thank you for all of the support given to the Astwood Bank Carnival team throughout the year they held their annual Carols in the Park event on Saturday 23rd December. The carols led by the Astwood Bank Operatic Society were accompanied by the West Mercia Police band as well as the hundreds of local residents. Obviously the highlight for many of the younger residents was the surprise appearance by a certain gentleman in a red and white cloak who was able to hand out small presents to the youngsters. The mince pies and mulled wine enjoyed by nearly everyone were kindly provided by many of the organisations that have received grants from the Carnival team this year. Above, Father Christmas chats to one of his helpers.